A revolutionary marine product, KeelShield is a super tough keel protection strip made of urethane with UV-inhibitors. 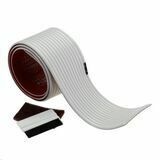 It comes ready to install as a DIY kit, complete with the strongest and thickest 3M Marine adhesive system available. A KeelShield protects your boat or jet ski and prevents expensive gelcoat or fibreglass repairs. Product testing shows that Keelshields patented grooved design actually enhances performance by adding directional stability on all boats and improving water flow to the impeller on jet-driven watercraft. Works on fiberglass, aluminum and even treated wood. Protects your keel when beaching on gravel beaches, sand, rocks or concrete ramps. Made in the USA from the highest quality materials in our patented grooved design. The best keel protector available, independent product testing proves it. Lifetime Warranty for adhesion and wear through. Length: 153 cm. A revolutionary marine product, KeelShield is a super tough keel protection strip made of urethane with UV-inhibitors. It comes ready to install as a DIY kit, complete with the strongest and thickest 3M Marine adhesive system available. A KeelShield protects your boat or jet ski and prevents expensive gelcoat or fibreglass repairs. Product testing shows that Keelshields patented grooved design actually enhances performance by adding directional stability on all boats and improving water flow to the impeller on jet-driven watercraft. Works on fiberglass, aluminum and even treated wood. Protects your keel when beaching on gravel beaches, sand, rocks or concrete ramps. Made in the USA from the highest quality materials in our patented grooved design. The best keel protector available, independent product testing proves it. Lifetime Warranty for adhesion and wear through. Length: 184 cm. A revolutionary marine product, KeelShield is a super tough keel protection strip made of urethane with UV-inhibitors. It comes ready to install as a DIY kit, complete with the strongest and thickest 3M Marine adhesive system available. A KeelShield protects your boat or jet ski and prevents expensive gelcoat or fibreglass repairs. Product testing shows that Keelshields patented grooved design actually enhances performance by adding directional stability on all boats and improving water flow to the impeller on jet-driven watercraft. Works on fiberglass, aluminum and even treated wood. Protects your keel when beaching on gravel beaches, sand, rocks or concrete ramps. Made in the USA from the highest quality materials in our patented grooved design. The best keel protector available, independent product testing proves it. Lifetime Warranty for adhesion and wear through. Length: 214 cm. Multipurpose sealant Sikaflex for elastic waterproof sealing. Uses: equipments sealing (winches, bollards, centreboard, bulbs, fenders, handrails etc.). 70 ml tube. Multipurpose sikaflex sealant for elastic waterproof sealing. Uses: equipments sealing (winches, bollards, centreboard, bulbs, fenders, handrails etc.). 310 ml. Multipurpose sealant Sikaflex for elastic waterproof sealing. Uses: equipments sealing (winches, bollards, centreboard, bulbs, fenders, handrails etc.). 310 ml. Anti-skid stripes 20 x 300 mm, supplied in an elegant package. Includes 12 stripes. Anti-skid tape, original American Flex-Tred. The best product on the market. Width: 100 mm. Anti-skid tape, original American Flex-Tred. The best product on the market. Width: 200 mm. 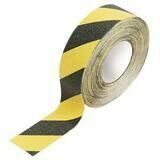 Coo-Var anti-skid tape is highly flexible and hard wearing. Width: 50 mm. Coo-Var anti-skid tape is luminescent, waterproof, highly flexible and hard wearing. Width: 50 mm. 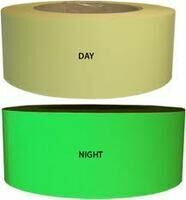 Spray stop tape resists up to 200 degrees and is ideal for emergency repairs on fuel hoses or hot/cold water hoses. It is made of a glass/aluminium film with silicon adhesive. Vetrotex soundproof material, fibre-glass fabric, aluminium outside coated. Suitable to exhaust pipes, heat exchangers and all pipes, which need to be insulated. Fire retardant class 1. Thickness: 10 mm. 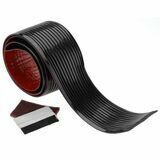 Roll: 20 cm x 5 m.
Self-adhesive tape is suitable for repairing to seat cloth-, hull cloth-, oilskins-, boots etc. Also may be used as insulating tape on electrical systems. 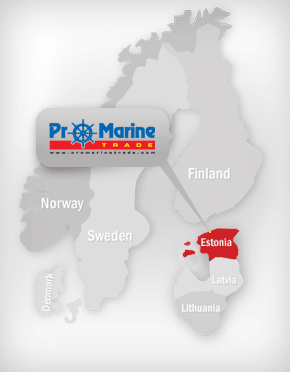 Suitable use for emergency repairs on fiberglass hulls-, sailboats-, dinghies- and canoes. Provides anti-wear protection on parts that are subjected to frictions.